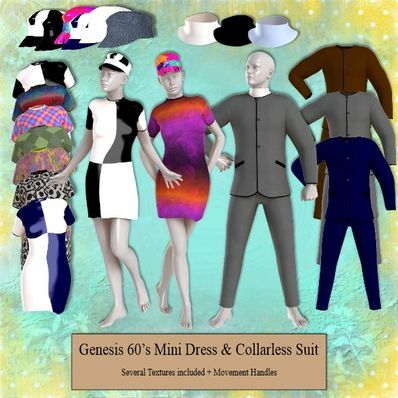 1960's style Outfits Genesis for use in Daz Studio 4.6. These are FAB, GEAR! Thak you.. These are great. Thanks so much for the creativity and generosity! Love the textures for these two outfits, just wonderful, thank you!